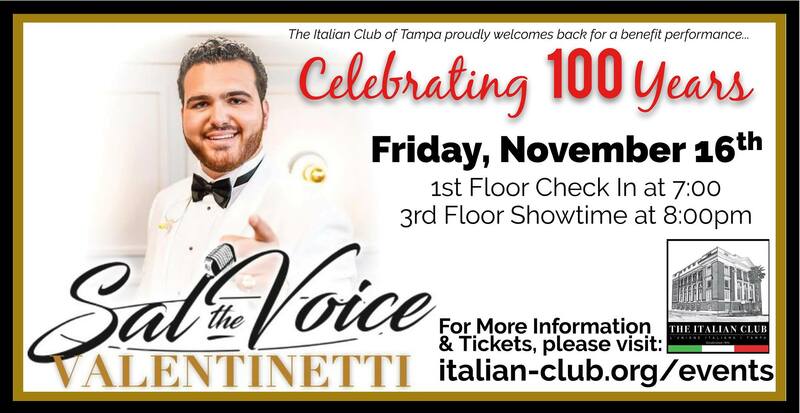 Sal Valentinetti will be performing at The Italian Club, Friday, November 16, 2018 from 7:00 pm-10:00 pm. A jazz singer and crooner with the sound of a 1950s classic performer, Sal Valentinetti quickly rose to fame after appearing on season 11 of NBC’s America’s Got Talent. Valentinetti’s initial audition instantly garnered attention and comparisons to music legends such as Frank Sinatra and Dean Martin. This event aims to provide audience members with an intimate and timeless experience.